Hope. An anchor for the soul, yet often hooked on temporal things. Continually on a quest for this yearning within us, our souls hunger for the moment our hopes are realized. But what really is hope and what happens when the hopes we have are crushed? 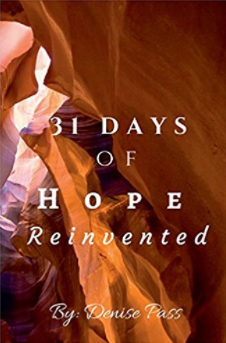 Explore the hope or lack of hope you have in this 31-Day devotional and find a new Hope Reinvented, formed in the crucible of hardship, authentic and eternal. God sees you and He has a hope for you that never fails.